In recent work UHEI led efforts towards the modeling of a passive spinal exoskeleton, and simulating the interaction between the human user and the exoskeleton (Millard et al. 2017, Manns et al. 2017, Harant et al. 2017). These results build upon earlier contributions of a dynamic whole body human model which is used as a basis for the exoskeleton design. 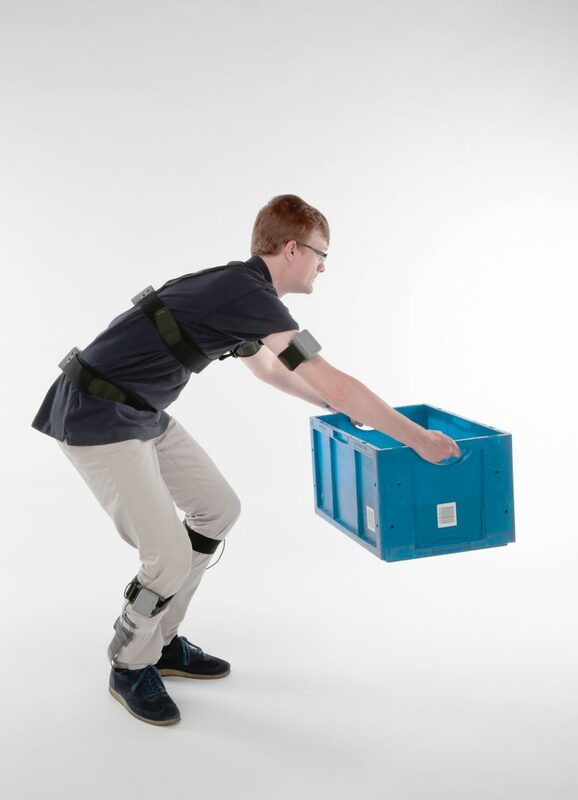 We use a combined model of a human and a parametrized exoskeleton and setup optimal control problems to identify exoskeleton spring characteristics or motor torques for lifting motions. The motions simulated are either fitted to recorded data (collaboration with S2P and VUA), or generated as the solution of a minimization function. We also compute the forces and torques transmitted between the human and the exoskeleton. These are important first measures that will help support the exoskeleton and human-exoskeleton-interface design process. Ready for use, OBG accomplished the first functional prototype of the musculoskeletal stress monitoring system. Looking forward for research, implementation and validation of the SPEXOR biomechanical models with the prototype. We defined the required biomechanical output variables and their accuracy for the sensory feedback system. In addition, we identified the set of sensors that best fits this requirement while optimizing feasibility under realistic working conditions.